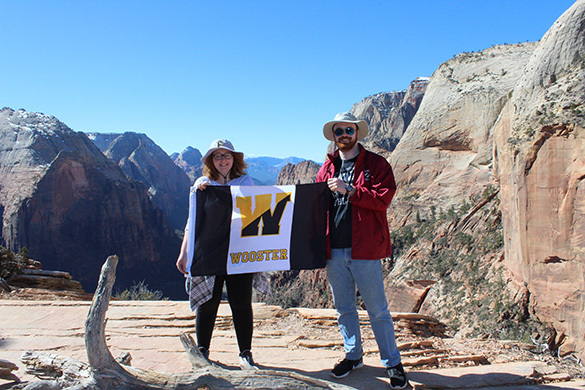 Hurricane, Utah — With our fieldwork done, Team Jurassic Utah 2019 visited Zion National Park today. The weather could not have been better. The students and Nick climbed Angels Landing (a rite of passage!) and entered The Narrows, so they saw the park from top to bottom. Above are Anna and Evan with our flag and surrounded by the iconic Navajo Sandstone. Nick took this photo. Crowds aside, Angels Landing is a top-five hike in the US National Park System. Awesome!